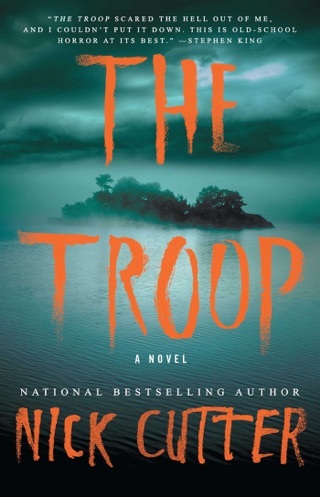 From the acclaimed author of The Troop—which Stephen King raved “scared the hell out of me and I couldn’t put it down.…old-school horror at its best”—comes this utterly terrifying novel where The Abyss meets The Shining. 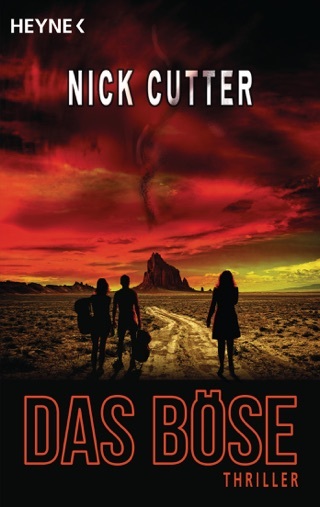 A strange plague called the ’Gets is decimating humanity on a global scale. It causes people to forget—small things at first, like where they left their keys…then the not-so-small things like how to drive, or the letters of the alphabet. Then their bodies forget how to function involuntarily…and there is no cure. But now, far below the surface of the Pacific Ocean, deep in the Marianas Trench, an heretofore unknown substance hailed as “ambrosia” has been discovered—a universal healer, from initial reports. It may just be the key to a universal cure. In order to study this phenomenon, a special research lab, the Trieste, has been built eight miles under the sea’s surface. But now the station is incommunicado, and it’s up to a brave few to descend through the lightless fathoms in hopes of unraveling the mysteries lurking at those crushing depths…and perhaps to encounter an evil blacker than anything one could possibly imagine. 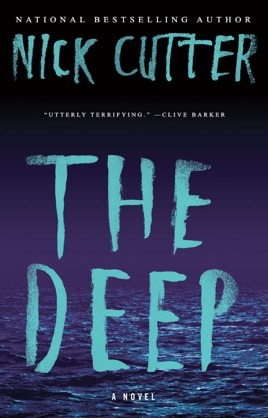 Part horror, part psychological nightmare, The Deep is a novel that fans of Stephen King and Clive Barker won’t want to miss—especially if you’re afraid of the dark. 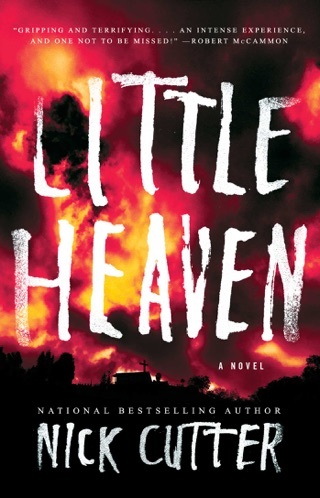 Fans of unflinching bleakness and all-out horror will love this novel. Expecting to assist in the study of a miraculous cell-regenerating substance discovered deep undersea, veterinarian Luke Nelson descends eight miles to the bottom of the Pacific Ocean. 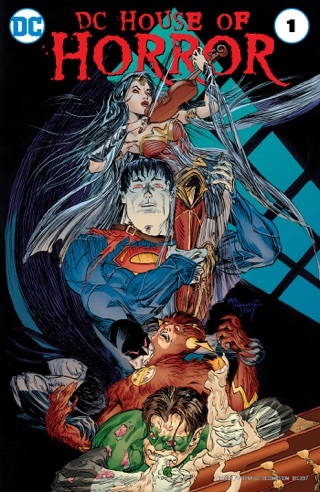 What he finds there, in a research lab warped by incredible pressure and trapped in utter darkness, is a mounting wave of physical and mental aberrations. Something down there is testing or playing with the scientists and their lab animals. Readers watch as Luke is unpeeled, layer by layer, and reshaped into something terrible. The novel's horror is notable both for quantity and quality. 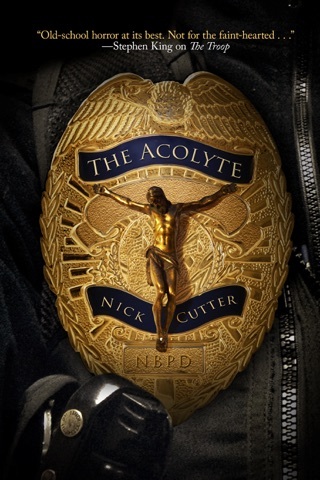 Where some writers shovel gruesome details into their fiction, Cutter (The Troop) uses a front-end loader. However, his sharp observations and choice of details keep readers from getting numbed by the accumulation of catastrophes; each new shock is freshly disturbing. 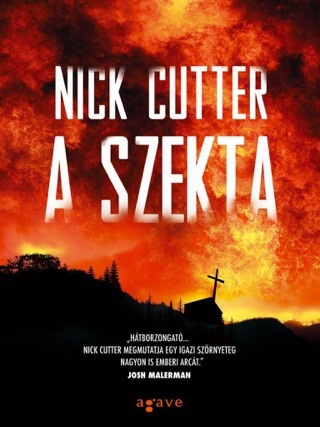 Genre fans will find this an admirable addition to the list of horror novels that share its title. This is not my go-to genre, however, what luck to take a chance from the usual to go on he trip with this book. It was amazingly good from start to finish. Will read more from this author when I recover (if I do) from this book. Read this book. Like right now. Like stay up all night and read it. Arguably one of the best horror novels I've ever read. Think Event Horizon meets The Sphere meets some elemental parts of I Am Legend... Even though Cutters seems to jump around at neck breaking paces... Still a worthwhile book.